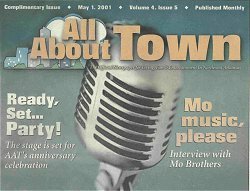 You’ve seen the name all over the calendar, and chances are you’ve heard the Mo Brothers play all about town. 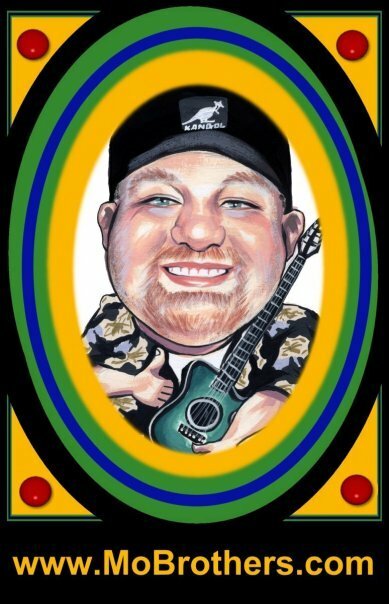 Greig Roberts, “Big Mo” is a modern-day one-man band, with a songlist that rivals any band in town. Although known for the hundreds of cover tunes he plays as part of his act, Roberts just released his first CD of all original tunes — which he slips into his show periodically — and he gets many requests for those while he’s performing. In fact, one of the Mo Brothers most popular songs is “I Wanna Corona” a song that Big Mo wrote on a lark. about this Mo about town? you, how did you get started playing music with the Mo Brothers? MO: I have been playing guitar for about 30 years in full bands. I started performing as Mo Brothers about two years ago because I couldn’t physically lug around all the big gear needed to drive a five- or six-piece band due to an injury. I had never done a small group or a single before. I found out that there is a lot of opportunity for a single or duo to play. played with a Sax Player-Elmo Brothers. I refer to the computer tools I use for the sounds I get as-Gizmo Brothers. The original concept was that by using new technology, I sounded like there were more people (“Mo Brothers”) playing. AAT: You seem to have an amazing songlist. How many songs do you know and how did you learn so many? MO: I have about 300 songs on my play list. This is 30 years of playing distilled into versions that I can perform solo. I learned many of them when they came out 10-20-30 years ago and have kept playing them — maybe someday I’ll get them right! I try to appeal to a wide range of fans and having so much material to draw from lets me play lots of venues and types of events. AAT:You produced and performed your new CD by yourself. What inspires you to write songs? MO:My new CD “Mo Hat Hair” is my first attempt at all original songs. Some of the songs are serious but most are humorous and just plain fun to play and fun for the crowd. I have long wanted to do my own material but never set aside time to really work on~ writing. I am a member of a songwriters group and this has been inspirational as well as the acceptance of many of my original tunes at the gigs I play. Much of my material comes from looking at life for the funny things in it. I like to write songs that my audience can really enjoy and get a laugh from. AAT: What is your goal for your career as the Mo Brothers? MO: The main focus at a Mo Brothers gig is that everyone has a good time. I don’t try to force my tunes on anyone or hook-up to a social cause or prove I’m a hot dog player. I just want the audience to have fun. For more information about the Mo Brothers, to get one of his new CDs, or booking for private parties (he’s perfect for that! ), check out www.mobrothers.com — and be sure to find the Mo Brothers whenever you’re out and about. Because of the plurality of the name “Mo Brothers” may conjure up the image of a band of siblings, audiences in Northwest Arkansas are often surprised to discover it applies to the one-man act of Greig Roberts. Under the name “The Mo Bros Band,” Roberts also performs with other artists. About 90 percent of his current gigs, however, are solo. “There’s a lot more opportunity for just one person,” Roberts says of finding the casual gigs he is known for playing. For more information about the Mo Brothers, visit www.mobrothers.com.